Hello, everyone ... it is, indeed, a beautiful day here in south Texas! I hope it is in your part of the country, as well. Another reason it is a beautiful day ... this is my first post as a new design team member for Pink Ink Stamp Company! If you take a look around their website, you may notice it looks a little familiar. That's because the owner of Pink Ink, Peggy Jo Ackley -- a very accomplished illustrator -- purchased the Lockhart Stamp Company (for whom I designed for about 5-1/2 years) almost two years ago, and her style is very similar to Karen Lockhart's. Peggy produces and distributes her own new Pink Ink stamp line, as well as the entire current line of Lockhart Stamp Co stamps! So I was thrilled when Peggy asked me to join her new design team! Below left, the C1 marker was used to give a little shading to the white 8-petal flowers, and Y15 was used for the centers. Below right, Melon and Lemon Copic Atyou Spica Glitter Pens were used to color the stamens on the orange lilies and centers of some other flowers. Above left are the colors used for the planter box. Above right shows the C0-C1-C4 combo used for shadows underneath and behind the planter. To finish the card, I oval die cut the flower planter image and mounted it with Copic X-Press It Foam Tape to the Neenah Desert Storm (kraft) card base. Banana Split scalloped and pink die cut cardstock pieces were layered behind the image. The pretty Have A Beautiful Day Pink Ink sentiment was gold heat embossed on the yellow scalloped cardstock piece. You can find more daily inspiration by the Pink Ink Stamp Company design team over at their new blog, Pink Ink Postmarks, where I will also have this tutorial shown. Want to know where you can purchase Pink Ink stamps? Check out their storefront retailers by state page HERE. Or you can purchase from the only online retailer of Pink Ink Stamps, Ellen Hutson LLC. (You will always be able to find a link to Ellen's supply of Pink Ink Stamps over in my sidebar list of my Favorite Supplies, or by clicking on my Favorite Products page at the top of my blog.). Pink Ink Wood Mount Stamp, Have a Beautiful Day! Happy Saturday ... I hope you are enjoying your weekend! Today over in Ellen Hutson's the CLASSroom I have this sweet baby shaker card to share, along with full instructions on how to create a shaker card ... I hope you'll join me there! Maybe this cute guy will help! I made this sweet card for the current Mix It Up Challenge going on over in Ellen Hutson's the CLASSroom. Yes, that's right ... 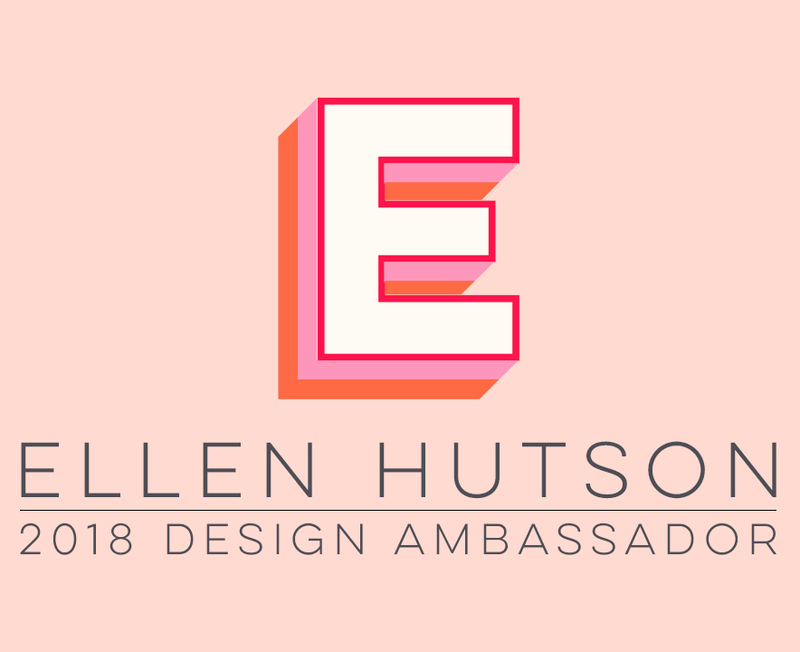 If you haven't heard yet, Ellen is sponsoring two new challenges per month and just by participating you have the chance to win a $50 gift certificate to the store! The Mix It Up Challenge is a challenge where Ellen invites one manufacturer (product carried in the store) to contribute a design that combines Essentials by Ellen stamps/dies with their product to inspire our readers! All you have to do is create a project with the manufacturer's product combined with Essentials by Ellen stamps/dies and link it up on the challenge blog post ... it's that easy! This month's Mix It Up challenge manufacturer is Lawn Fawn. I used their awesome Milo's ABCs alphabet stamps to create a custom sentiment for Julie's Essentials by Ellen Wish Big hippo. (All bold products are linked below in the supply section). The watery background for the hippo was created with my Copic Watercolor Background technique (tutorial can be found here). Basically, Copic Various Ink Refills BG01, BG53, B23 (shown below) were scribbled and puddled onto on an acrylic block and Copic Colorless Blender Solution spritzed to move the colors around, then "stamped" onto Ranger Specialty Stamping Paper. The Lawn Fawn Milo's ABCs alphabet stamps are very easy to line up on an acrylic block and multiple letters are included so I was able to create this entire sentiment in one stamping, without having to leave blank spaces and go back to re-stamp some letters ... AWESOME!! Ranger's Jet Black Archival Ink was used to stamp the hippo over the Copic Various Ink background, as it will not interact with the alcohol ink and will be permanent. To finish the card, I layered the stamped piece with Copic Foam Tape onto wonky layers of Bazzill Card Shoppe Robin's Egg (turquoise) and Whirlypop (navy) cardstock. It is with sadness and a great deal of admiration that the Copic team bids farewell to our long-time friend and Copic team member, Sherrie Siemens. Sherrie has made the very difficult choice to step down from the team, as she begins an exciting new adventure going back to school to pursue a brand new career. I've had the honor to serve on a few design teams with Sherrie over the years and have always admired her gorgeous artwork, mad coloring skills, integrity and kindness. We will ALL sorely miss you, Sherrie ... Best of luck in the next phase of your life! Digital image is A Special Flower from A Day For Daisies. Other supplies are linked below. Background was airbrushed with Y21. Shadows behind girl were dotted with C1, C2, and Y21. Our Copic team has all posted for Sherrie today. Some of them will have pictures, and some may have projects. We'd love for you to stop by Sherrie's blog (last link on the list below) and share some love with her. Thanks for visiting today! leave a little love, and send her off in style! Do you have a BIG birthday coming up soon? Maybe this card using the Wish Big Essentials by Ellen stamp set will help! Details are over in Ellen Hutson's the CLASSroom today ... I hope you'll join me there! Happy Good Friday!